Courtney is my favorite of Skipper’s friends. Introduced in 1988 along with Teen Time Skipper, Courtney was Skipper’s first new female friend since Ginger came and went a few years earlier. 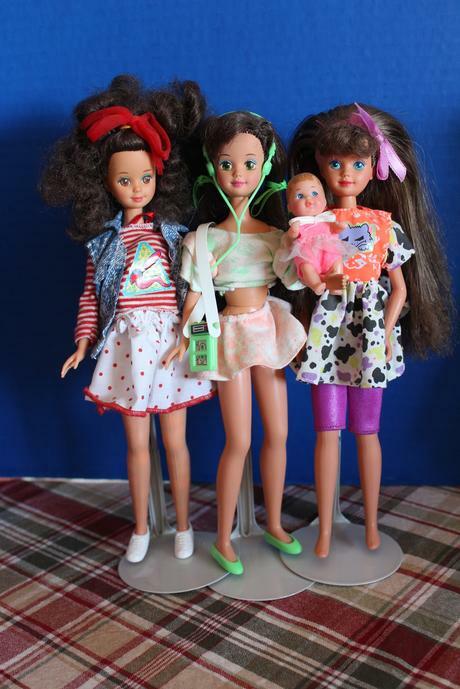 Teen Time Courtney made a huge impact on the doll scene when she debuted as “Skipper’s best friend”. Teen Time Skipper, who’s “school look changes for slumber party fun”, has a head of dark brown curls with a half ponytail. Unlike Skipper, Courtney has round brown eyes. (Courtney’s eyes would go between brown, green and blue throughout her releases.) Teen Time wears a striped white and red long sleeve shirt with a paint brush decal, a jean vest and a white skirt with red polka dots, which is really a nighty for when she and Skipper have their slumber party. 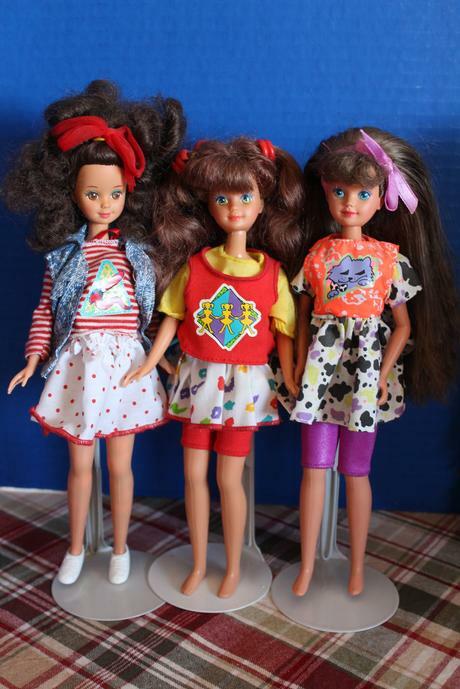 One of my favorite Courtney’s was 1989’s Cool Tops Courtney (center in photo above). Her mix and match outfit could be worked into 8 different looks. She had big, wavy dark brown hair with 4 half ponytails. 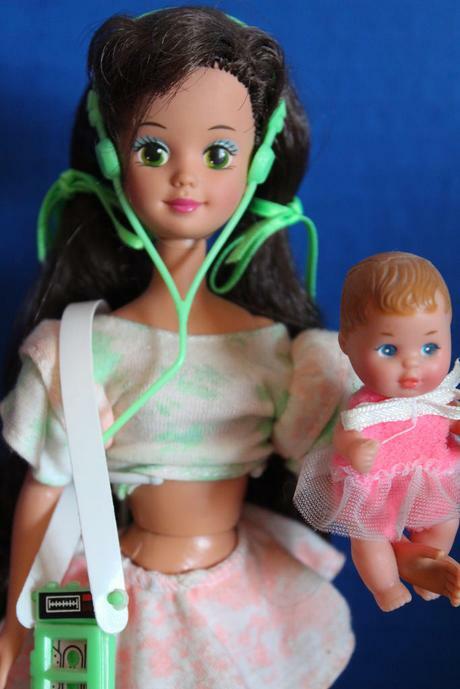 This dolls look has always stood out to me. I love the bold red and yellow fabrics Mattel chose to bring this dolls outfit to life. 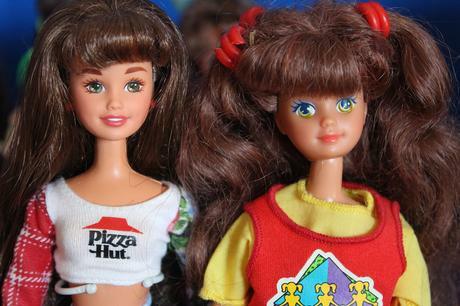 Courtney would be released pretty steadily through 2000, making it through the transition from the 90’s pre-teen anime eye face mold to the slightly older looking Pizza Party mold (seen below) and finally the more grown up Teen Skipper. 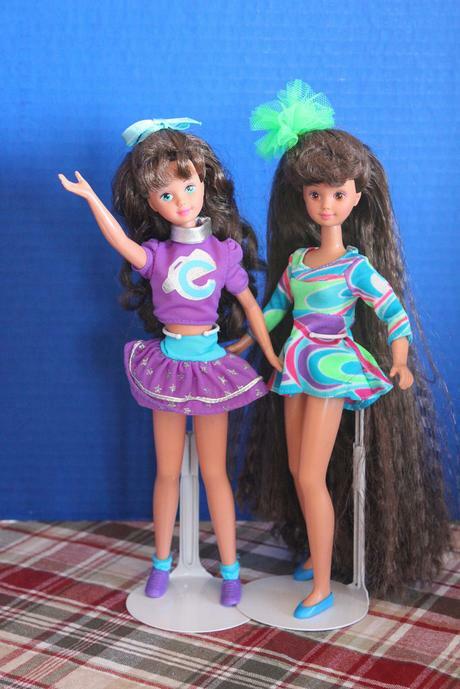 The final Courtney releases were unique to the rest, because Mattel decided to swap her dark brown hair with ginger. I don’t have any Teen Courtney’s from this era– yet! Unlike Skipper’s of this era, Courtney was only produced in the Caucasian skin tone. 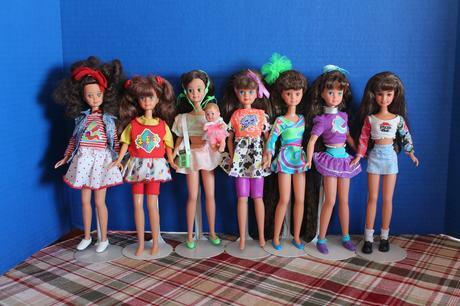 In this Skipper Highlight Reel video, I go over all the Courtney’s in my collection so far in a little more detail! Courtney will always be my favorite of Skipper’s friends. I just love her look! Do you have any fond memories of Skipper’s friend, Courtney? Which one(s) do you own? Do you have a favorite? Leave your thoughts in the comment area! April 13, 2018. Tags: Skipper Highlight Reel. Uncategorized.